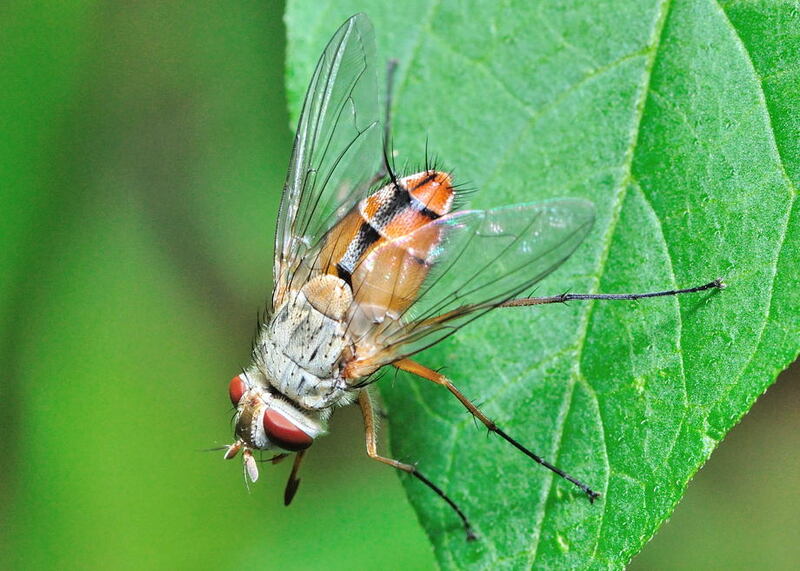 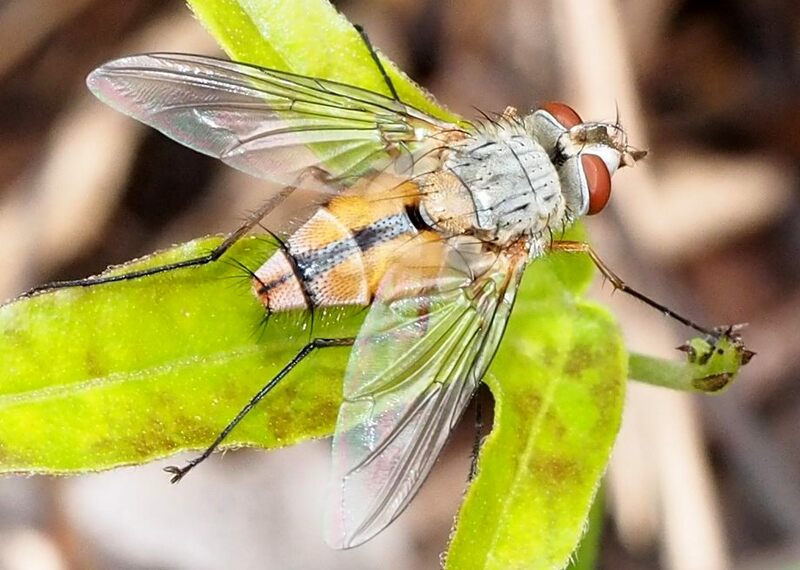 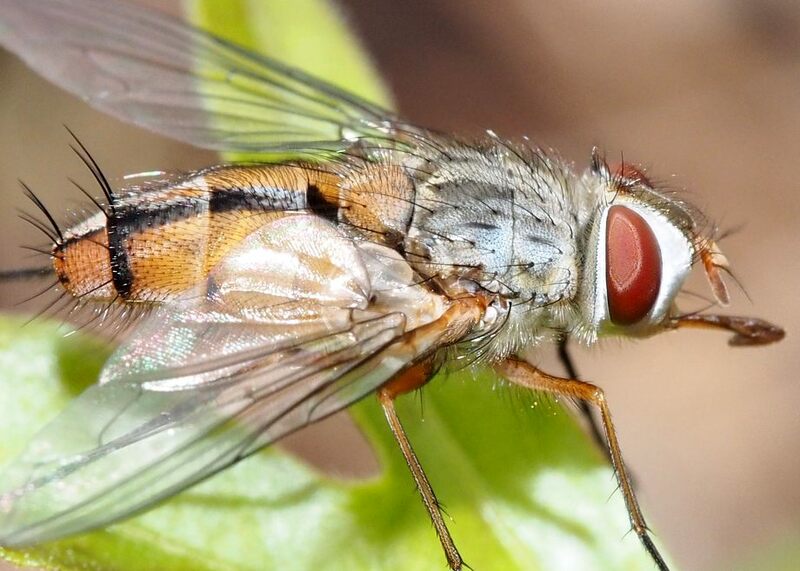 Please send email to us if you know the ID of those Tachinid Flies. 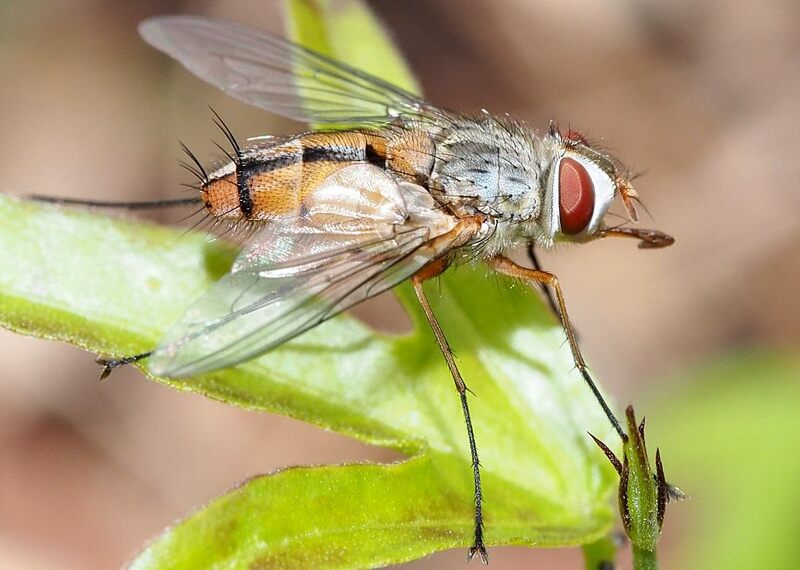 Pictures taken in Sunnybank near Bulimba Creek during mid summer. Pictures were taken in Ford Road Conservation Area on Mar 2011.
? 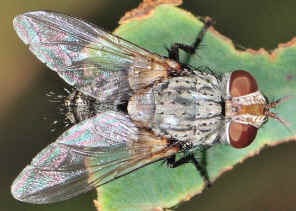 Lespesia sp., body length 10mm. 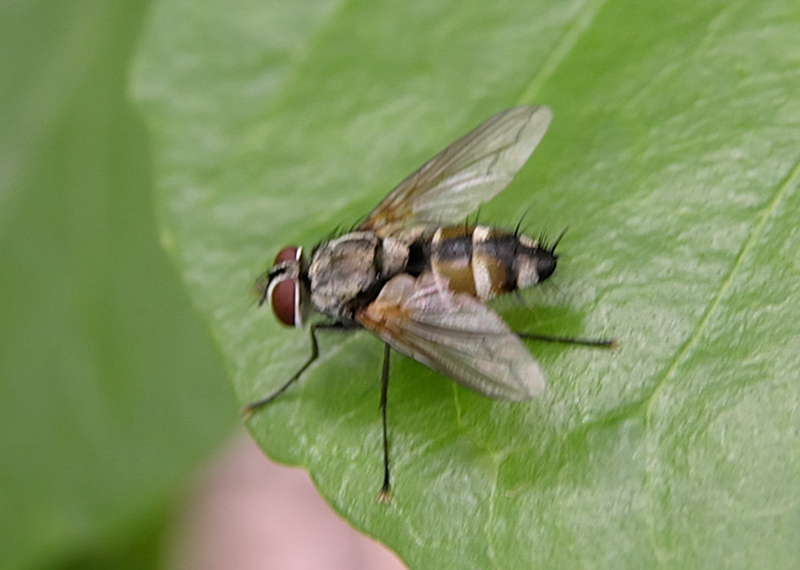 This fly was checking a group of sawfly larvae. 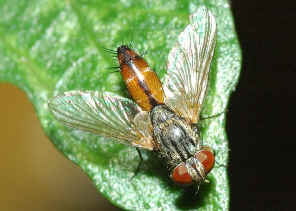 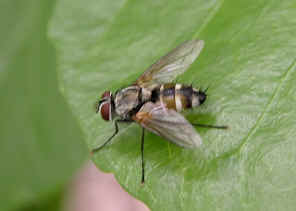 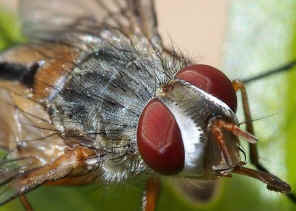 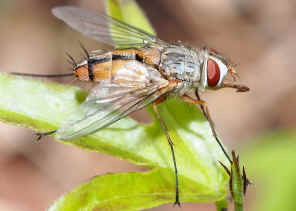 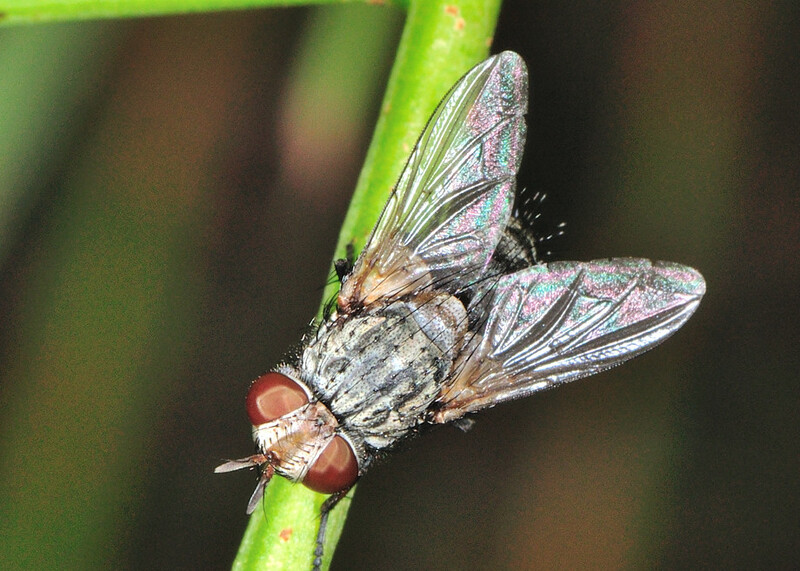 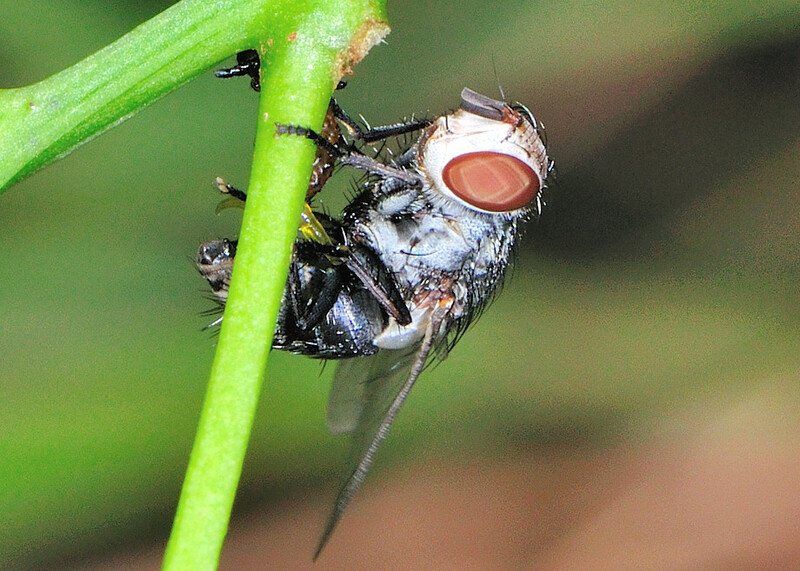 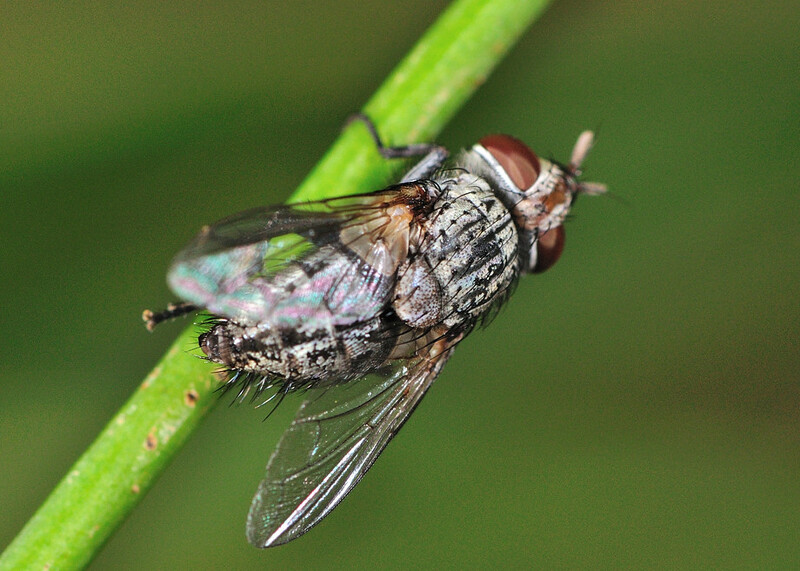 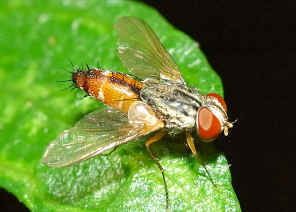 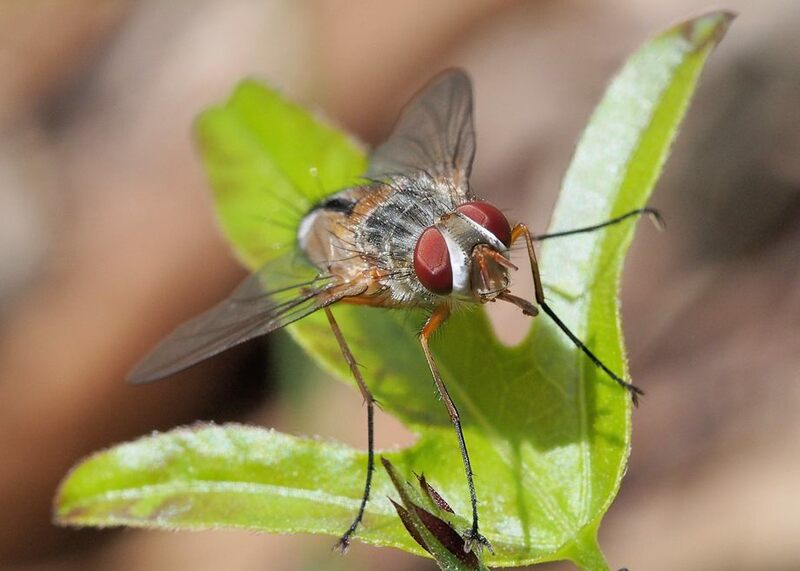 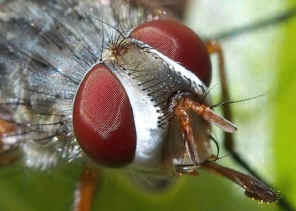 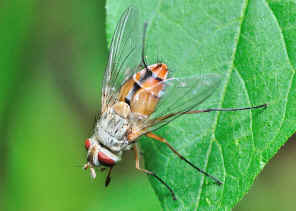 The fly has the grey thorax and brownish-yellow abdomen. 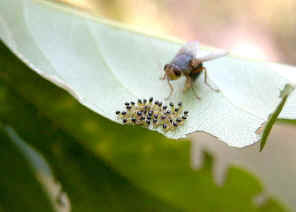 The 2nd picture show a Tachinid Fly checking the Leaf Beetle Larvae and about to lay eggs on the larvae. The white eggs of the fly are attached on the body of the larva. 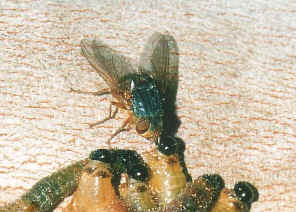 The egg hatches into maggot and bores into the body of the Leaf Beetle larva, develops inside and kill the larva. 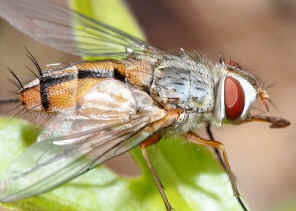 Please check this page for more information. 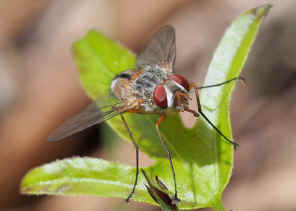 Last updated: April 09, 2013.